"Easy of use dynamic calltracking tool"
"Robust solution for track call source"
"With Ringostat you can both set up a call center for outbound calls and track the inbound calls from your advertising campaigns. Ringostat provides cloud PBX and SIP numbers available for rent, which means that you don’t need to connect any other service to start making calls. Moreover, there are a number of analytical reports generated by Ringostat that help supervise the work of call agents (the distribution of missed calls by day and time of the day report.) As for tracking inbound calls, Ringostat provides all the information available on the call - source, channel, campaign, keyword. There is also multi-channel funnel report and call status statistics for more in-depth analytics." I dislike how overwhelming the interface is at first but you can ask customer service even in chat and receive an answer very fast. Ringostat has one of the best integrations with Google Analytics among call tracking services (it’s an official partner of GA). It can transmit to GA not only the event of the inbound call, but also the call statuses, and even the number of the one who called. For those who work with web analytics, there are also great integrations with Kissmterics and Woopra. It helped us to improve our ad, managers performance, and website. "Good way to track marketing money"
Our main goal was to determine which advertising is effective and which is not, and to stop spending money where results aren't being seen. With Ringostat we get detailed reports to make end-to-end analytics and ability to know exactly the ROI of marketing campaigns. Thanks to blocking insertion by IP and numbers pools we receive accurate analytics. Also, APIs allow using data in a way that other platforms fell short. Furthermore, I feel that support actually cares about our project — always ready to help and advice on how to use Ringostat more efficient. Nothing at this stage but I would prefer easier setup. Anyway, support always in touch to help us. If you have volatile site traffic, you can hide inserted number under Show number bottom. That helps to receive precise call data. Ringostat helps our company easily see which marketing efforts are generating the most revenue. I like that reps really care about you and always ready to help. Customer Support has great knowledge, and when I experienced a complicated technical issue they resolved it really fast. I also love the integration with Google Analytics and a lot of ready-made integrations with popular CRM. I think help documentation could be better. I face a steep learning curve. Ask for training and advice from their Customer Success team. They will help to use Ringostat effectively. You will miss out many capabilities if you try to go it yourself. With Ringostat I have solved the problem of spending money on marketing and not knowing if they really worked. Now I can spend more on effective campaigns. Not only that but we are able to train sales staff by recording calls and analyze the main problems. "Great solution to manage campaigns"
Support makes all the necessary basic settings for the correct system operation. What is more, I like pretty fast and easy integration with CRM. I admire the opportunity to call back on missed calls immediately — the task is automatically created with a deadline when the call was missed. Moreover, I enjoy how easy it is to create and share any reports. I don't really have anything negative at the moment. If I had questions, the support gave me the answers quickly. Try an Analytics Section. Here you will find calls sources down to the keyword level. With Ringostat we are able to determine the most effective advertising sources and control the managers' performance. 1 - Operational and qualified customer support with the willingness to solve complex custom tasks. 2 - Open access to Webhooks and API. 3 - You can not only track calls but immediately distribute them from the site to departments/cities. 4 - Ability to independently control the required amount of numbers for dynamic call tracking. 5 - The unlimited number of SIP accounts and employees to connect. 6 - Customized callback widget: you can set how it looks and the call forwarding conditions. Quite hard and unobvious call forwarding schemes settings. With Ringostat you can both set up a call center for outbound calls and track the inbound calls from your advertising campaigns. Moreover, there are a number of analytical reports generated that help supervise the call agents work. Ringostat is a powerful and flexible instrument. So I strongly recommend it. We faced a huge amount of missed calls — 40%. With Ringostat we reduced it to 10%. What is more, with Ringostat we set up a dynamic call tracking with automatic calls distribution across cities, depending on the selected region on the site. It helps us to increase customer loyalty and improve call processing. Moreover, now we are testing automatic customer polling via Ringostat PBX. Additionally, now we understand which advertising works and able to optimize ads expenses. "Sort calls and easy filter reports by lots of parameter"
Ringostat can save filters in many parameters. For example, to the clients' geography, by the hold time, track where conversions are coming from, distribution calls by day of the week and time and many others. We sort non-targeted calls and not take it into account in end-to-end analytics. Thus, we get better analytics multi-channel funnels reporting. Also, thanks to the configured filters, we can generate reports in one minute and send it to our experts via email. To get a full report for the Google Analytics on the type of call broken down into target and non-target, we contacted support and they helped us. With Ringostat we are able to record all of the calls to manage and improve our customer service. What is more, we can see the full effects of our advertising campaigns. Ringostat reports are easy to use and read. I like that you can easily create customized reports for sales, marketing or other departments to analyze specific data. They are adding new features and tools all the time. Moreover, if you want specific useful improvement they will work out it. Not much to dislike here. Maybe reporting could be streamlined a bit. Reports Section was really useful. There you can receive in-depth marketing analytic such as keywords performance. Ringostat helps us to determine that calls were coming from paid search and social. So we were able to improve our ROI based on that reports. "Good call tracking solution with streamlined reporting"
I really enjoy how Ringostat is integrated with our CRM. It's flexible and easy to set up. It is also easy to oversee how many calls are being answered or missed by your team. Client communication is saved in a call's card: sources, recordings, visited website pages history and so on. Moreover, with Ringostat we're able to automate our workflow and measure call conversations on PPC campaigns. Ringostat call reports are very detailed - down to the keyword level. Nothing that bothers me now. Think it would be cool if they work out transcript capabilities of calls. Use ready-made CRM integrations to see which campaigns generate sales and further revenue. We solved the problem with missed calls. Now we're also able to track source information across multiple campaigns. - Creating goals in Google Analytics like Answered, Aborted and Not Answered calls and track calls sources like Direct visit, Parid Traffic, Social, etc. Ringostat can provide you free trial period and you should only pay for telephone numbers. You can test it out for a month and decide if it's working for your business or not. It's definitely effective if you have a lot of calls and you need track their sources. Ringostat is a great tool to track your call sources, like Direct visits of your website, visits from Paid traffic (Adwords, Bings Ads, Facebook Ads, ets), or Social visits. Also you have built in call center function, so you have solution for managers to answer calls and track their efficiency. The system offers detailed reports such as call distribution statistics, multi-channel funell, etc. By the way you can create any kind of report you need yourself. What is more Ringostat has much more better customer service than their competitors. Every time I have a question I get an answer I need immediately. What I dislike is that the system isn't exceptionally intuitive. But support helps a lot to see into processes and configurations. Ringostat has ready-made integration so you can easily connect call analytics and CRM and save your time. Ringostat helps me to save a huge cost overall. Now we understand much better how our marketing efforts are driving conversions over the phone. So we are not flying in the dark anymore. 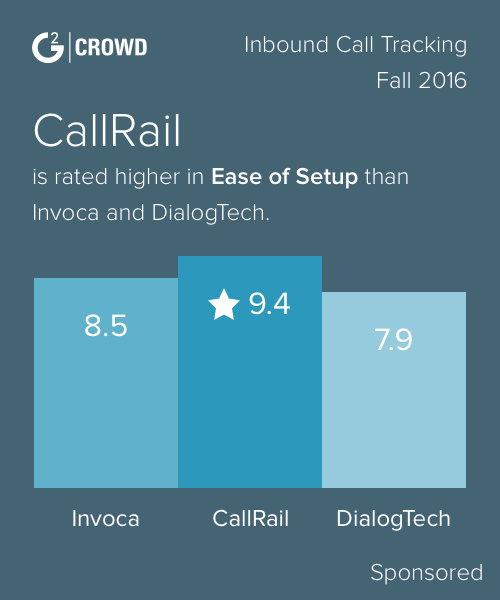 "One of the best calltracking SaaS in CIS market"
1. Ease of project creation - might take you 2 days from 0 to start using a software. 2. Good built-in reports and option to make your custom reports too! It would be awesome if project creation and connection could be in 30 minutes from start. Tracking call-conversions. It might be 20-40% of sales starting from phone calls and as a marketing agency, we need to be able to track them to manage the advertising budget to get positive ROI. I like the ability to add tracking numbers quickly. Also, support is always very clear and prompt. The most useful feature for our company was the tracking number configuration by geolocation. It gave us a deep insight of where customers are calling from and we are able to distribute calls directly to the local office. So far, there's nothing wrong with the service. Support team does a good job to solve all issues as soon as possible. Use call card to see certain users call records and their activity on the site. 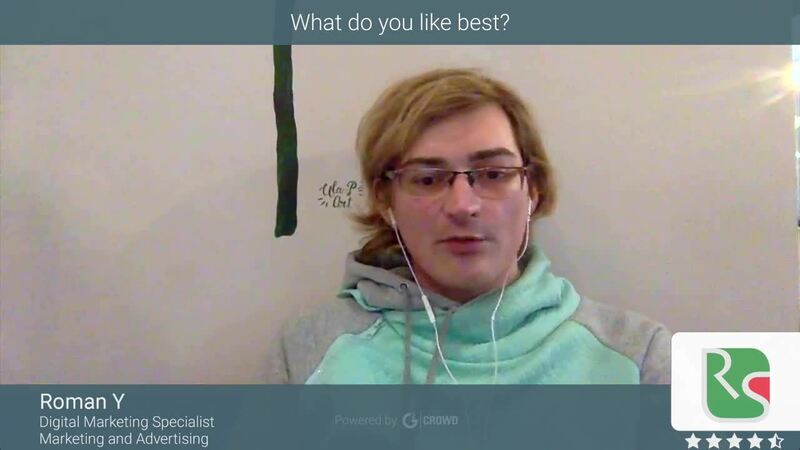 "I use Ringostat for my clients in Europe to track phone calls from ads"
Multi-channel funnel report like in Google Analytics, but for calls. As far as I know no other call tracking services provide it and it is necessary for any professional marketer — to learn the user path before making a call. The service develops and add features quite often, but sometimes UI suffers. I also think they need to upgrade their callback widget to make it visually more attractive. This is a must-have tool for any marketing agency, web-analysts, ppc-specialists in any company. I work with Ringostat for couple of my European projects, where my job is to promote business of my clients, bring more calls and customers for them. From my experience, people who prefer to call convert into more revenue than those, who fill in the online forms. That is why it is crucial for me to track the sources of these phone calls, understand what are the channels and even keywords, that bring more calls to my clients and optimize my advertising campaigns accordingly. For this purpose I use Ringostat. The one best benefit is that I can prove results to my clients. 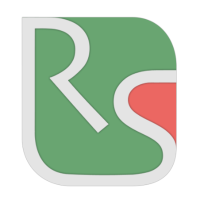 * We monitor all Ringostat reviews to prevent fraudulent reviews and keep review quality high. We do not post reviews by company employees or direct competitors. Validated reviews require the user to submit a screenshot of the product containing their user ID, in order to verify a user is an actual user of the product. Hi there! Are you looking to implement a solution like Ringostat?